In this long, cold spring following a long cold winter many plants have been slow coming on. But this Wax Currant next to my shady back porch is in its glory. 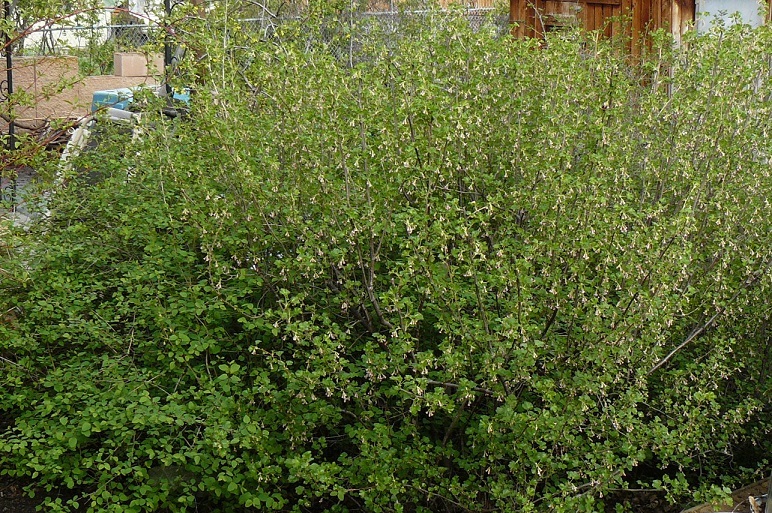 Wax Currant is native to Southern Idaho and much of the Intermountain West. It has leaves smaller and tends to more dense than the better know Golden Currant. It is happiest in part shade. A bit of trimming will maintain its nice compact form.